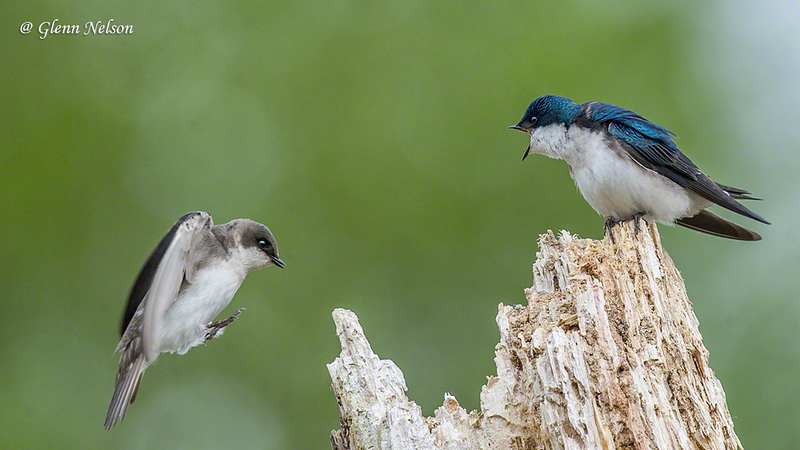 A scene from an interaction between a Tree Swallow juvenile and its mother. At Spencer Island, an estuary in Everett, Wash., about 20 miles north of Seattle, I walked in, looking as usual for raptors. 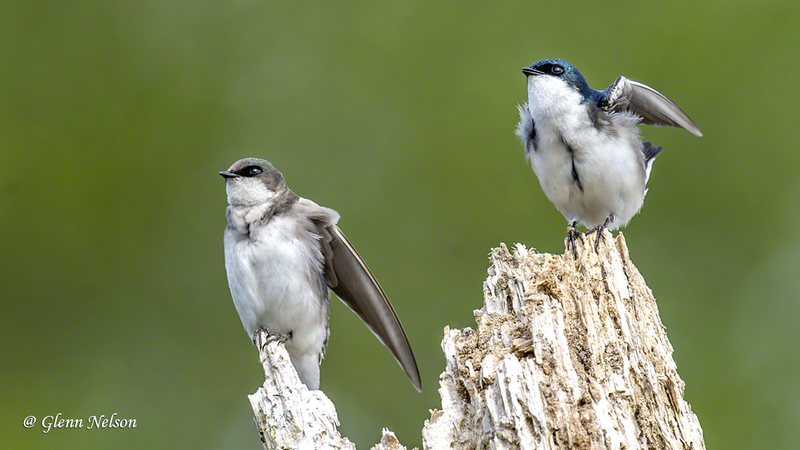 I eventually did spy an Osprey, but after being distracted for 2 1/2 hours by Tree Swallows. 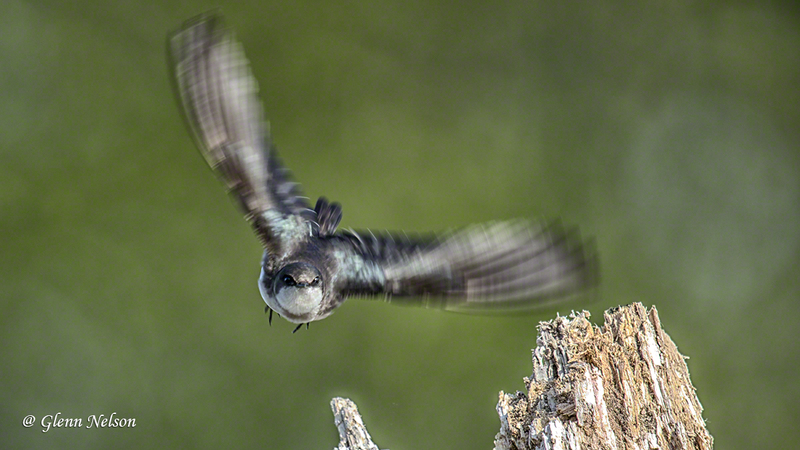 I usually take these birds for granted because they’re using flitting around at warp speed, chasing down insects. However, in a patch of the reserve, they were landing on snags. 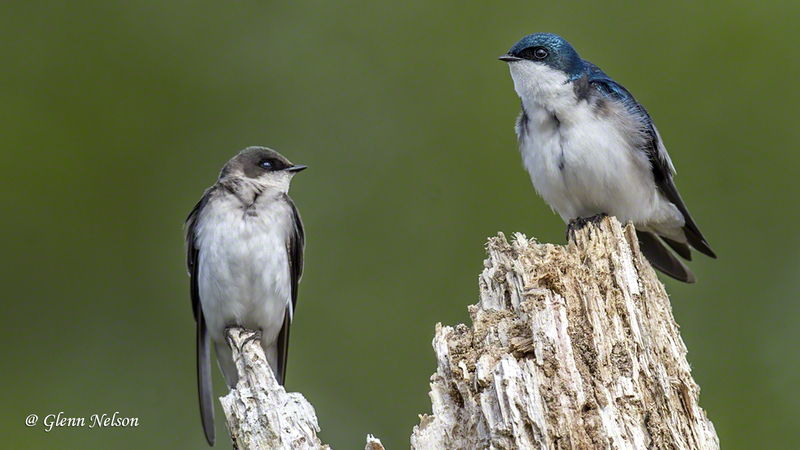 I let this pair become acclimated to my presence, then I moved in a little, to get a spot-on view. I had some morning sun, which was a blessing since I always seem to draw dreary, cloudy and usually rainy days when I’m out photographing birds. I may be anthropomorphizing, but the following played out several times and it sure seemed to me a scene right out of human parenting, probably circa teenage years. Junior must’ve arrived late, and gets an earful. 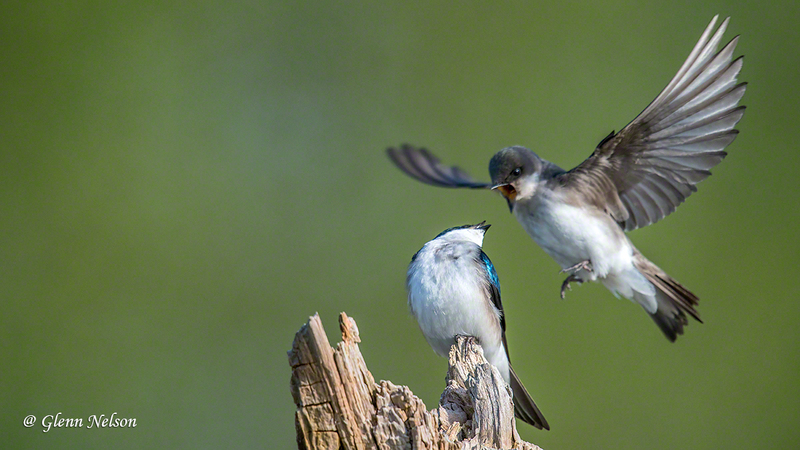 Mom gets her feathers ruffled! 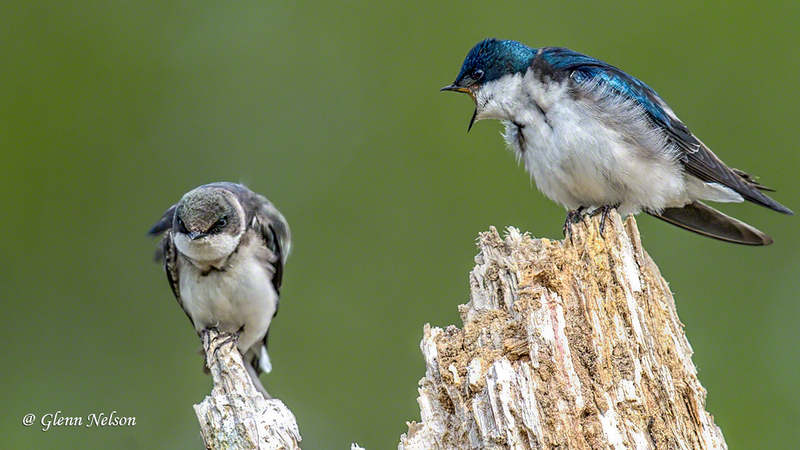 Junior and Mom start to exhibit some harmony. 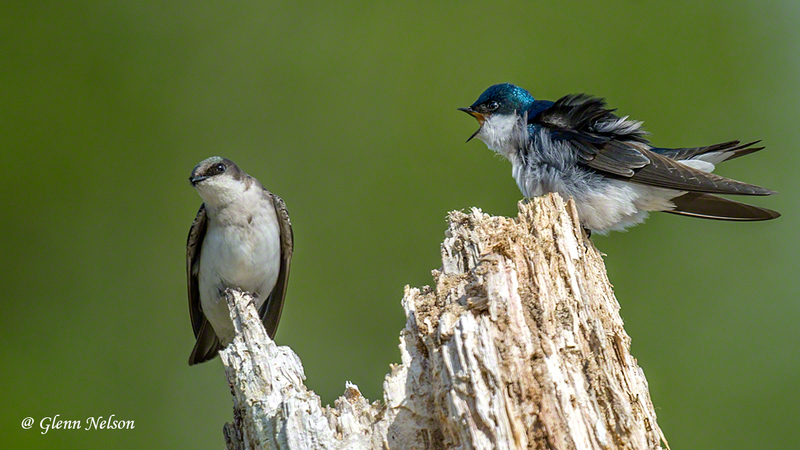 Order seems restored in this Tree Swallow household.